If you remember hearing the name Fever Ray somewhere before, you are probably wondering when was the last album with this signature released? The answer: eight years. 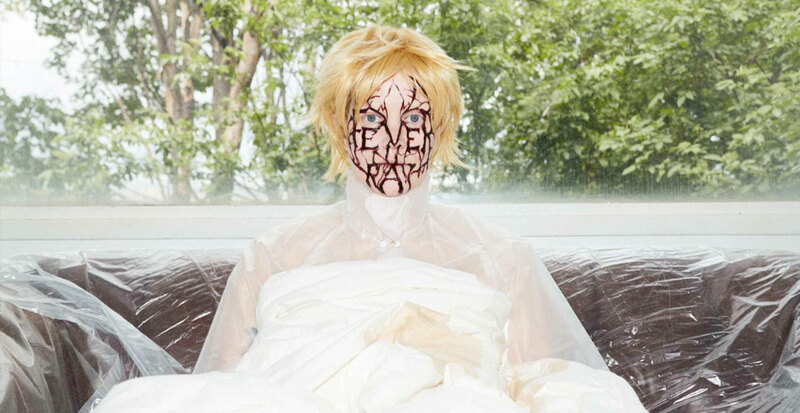 Eight long years have passed ever since the first and only record of Karin Dreijer Andersson’s solo career, published in 2009 and simply called Fever Ray. That particular album had a success across the entire planet, allowing Fever Ray to headline some of the world’s biggest festivals, from Way Out West to Coachella. If you don’t know Karin Dreijer Andersson yet, a bit of her history would be beneficial, since she is one of the major names on the Swedish music scene, amidst of the fact that we have never seen her or her brother Olof’s faces since around 2003, when their electronic band The Knife had started their huge ascension. Way before that though, Karin was, in the second half of the 90s, lead singer of the band Honey Is Cool, in which a certain Håkan Hellström was also part. It is however with The Knife and her label Rabid Records that Dreijer Andersson could have the greatest success, notably with 2006’s album Silent Shout, which received several awards, as well as the music industry introduction of the duo First Aid Kit in 2008. The Knife having announced their separation after the album and tour for 2013’s Shaking the Habitual, a Fever Ray comeback seemed to be the logical follow-up for many fans of the band, and we had to wait until the end of this year, in 2017, to hear the results. Fairly different from the first Fever Ray album, that was presenting a fine dark, ambient and downtempo genre, Plunge seems to be more a continuity of The Knife’s Shaking the Habitual. A few tracks are however sharing sonorities with the first long play, notably in the synthesizers and percussions used, but we can also find a much more kitschy sound, and largely more upbeat as well. Furthermore, Karin preserves the sharp and engaged lyrics from 2013, always strongly inspired by the queer culture, for a style often qualified as queerpop. We can finally hear eleven songs, always dominated by Karin’s uncanny, even sometimes worrying vocals with a strong accent, and a quite uncommon electronic genre on the pop scene, which is an interesting feat for a woman who is now aged 42. Here is a living proof that you can never be too old to push the boundaries of the possible in music. Hit Song : To The Moon And Back Inflamed arpeggios modulated as in your wildest dreams, under lyrics defying the conventions of the politically correct, here is what Fever Ray is offering us with To The Moon And Back. The song has benefited a little more time than the others to gain popularity, it being the first single taken from the album. A true adventure with no possible comparisons awaits us at each listen and the long time fans are the first who can enjoy it to its fullest. Strong Link : Mama’s Hand The last track of the album inherits from this title, for a rare occasion. Mama’s Hand is an impressive trip-hop and trance hybrid, offering sounds both new and typical of Fever Ray. In the end, it is a fascinating five minutes to relish with ambiguous, exiguous and always destabilizing feelings. Mustn’t Hurry, it is the song that gets the closest to Fever Ray’s first album, and it may probably be the main reason why it is my personal favorite. It’s a well-crafted dark ambient pop that surprises and finds its way through time. I still appreciate the first album as if it had just been released, and Mustn’t Hurry could very well be its unreleased remains, being much more conservative than the rest of the album. But, I am quite confident that with a few more listens, my personal favorite will vary, just like with everything else Fever Ray has ever done in the past. Fever Ray, c’est l’alter-ego et projet solo de Karin Dreijer Andersson, membre du défunt groupe The Knife. Elle est un des grands noms de la musique suédoise, ayant gagné de multiples prix et été la mentor du duo First Aid Kit par son label Rabid Records. Figure de proue de la musique électronique downtempo, Karin Dreijer est une artiste engagée et surtout avant-gardiste en activité depuis la fin des années 1990.